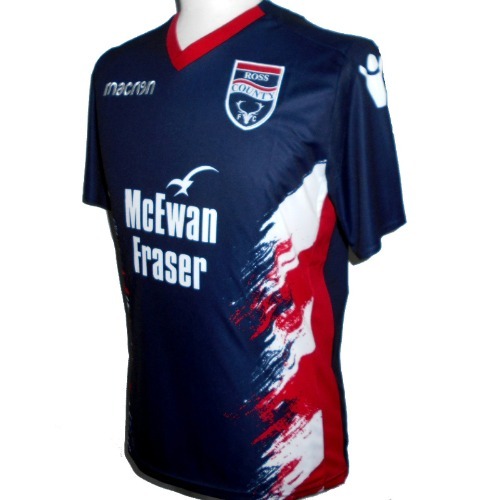 Official Macron home football shirt for Scottish Championship club, Ross County FC for the 2018/19 season as they try to regain their place in the Scottish Premiership. New with tags. - 'The Staggies' woven at the back of the neck. - Dark blue with stunning paint-effect graphics and red trim. - Stag logo on lower back. - Sponsors logos on front and back. - EU-XXL (UK/US-XL). Chest 46", length 31".